McMafia: Season Two Renewal for BBC One Series; Will AMC Air It? 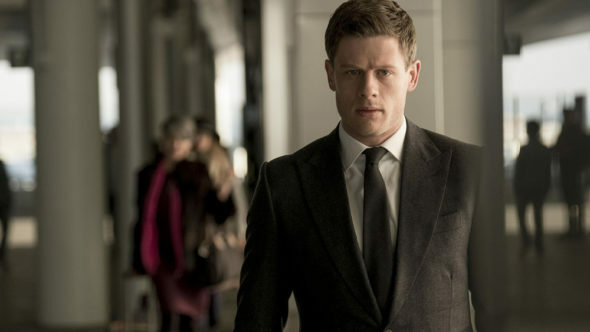 McMafia will be back … in the UK at least. Recently, the BBC announced they’ve renewed the TV show for a second season. The drama, which aired its first season on AMC in the U.S., centers on 33 year-old Alex Godman (James Norton), a self-made hedge fund manager who is the son of Russian exiles with connections to organized crime. The cast also includes Juliet Rylance, David Strathairn, Faye Marsay, Aleksey Serebryakov, Mariya Shukshina, Oshri Cohen, Merab Ninidze, and Kirill Pirogov. While the BBC has ordered a second season of McMafia, it’s unclear if AMC will pick up the new season for U.S. audiences given the show’s poor ratings. Season one averaged a low .07 rating in the 18-49 demo and 295,000 viewers. The critically acclaimed show, created and written by Hossein Amini and James Watkins and inspired by Misha Glenny’s best-selling book of the same name, is the fourth most popular drama title, by peak episode, on BBC iPlayer ever, making it one of the most popular shows on BBC iPlayer of all time. Episode one is also the most watched content on BBC iPlayer so far this year. Co-produced by the BBC, Cuba Pictures and AMC, in association with Twickenham Studios, McMafia series one had an overall average of 7.1 million viewers (28 days consolidated) Kicking off on New Year’s Day, it was the biggest new drama launch across any channel this year to date. It charted Alex Godman’s (James Norton) journey deeper and deeper into the world of organised crime, eventually finding himself unable to resist the lures of corruption. The drama’s clear relevance to the current world climate contributed greatly to both public and political debate, with new legislation on unexplained wealth orders dubbed “the McMafia Law”. What do you think? Have you seen McMafia? Will you watch season two? More about: AMC TV shows: canceled or renewed?, BBC TV shows: canceled or renewed?, McMafia, McMafia: canceled or renewed? McMafia: Is the AMC TV Series Cancelled or Renewed for Season Two? waiting with bated breathe for season two. Hoping it will be out on Australian tv soon. I enjoyed Season 1 of McMafia and have been waiting for Season 2 to be aired or released in Australia. Is this going to happen? Yes. I absolutely loved season 1. Very entertaining. Great show that deserves a second season! Great show that deserves a second season. I love this program. It would be a shame to stop now. 🙂 a lot of people don’t like it and say it is so very hard to follow. I never post but I have to say we Loved this show. Please AMC bring us Season Two!!!!! “McMafia” is a great show, please bring it back on AMC, for a second season. C’mon AMC…tell us you will show it!! This show is so awesome. Please renew McMafia on AMC! The shows got progressively better each week and would love to see it for a second season. Please renew this awesome show. AMC Please pick up season 2. The show was great! Absolutely! We loved it. I hope MAC renews it.